The iconic folk-band, TheDubliners, are of Ireland’s national treasures, & in 2012 celebrated 50 years together as a group. Sadly, & suddenly, not long after this, founder member “Banjo” Barney McKenna passed away, & with him the Dubliners. 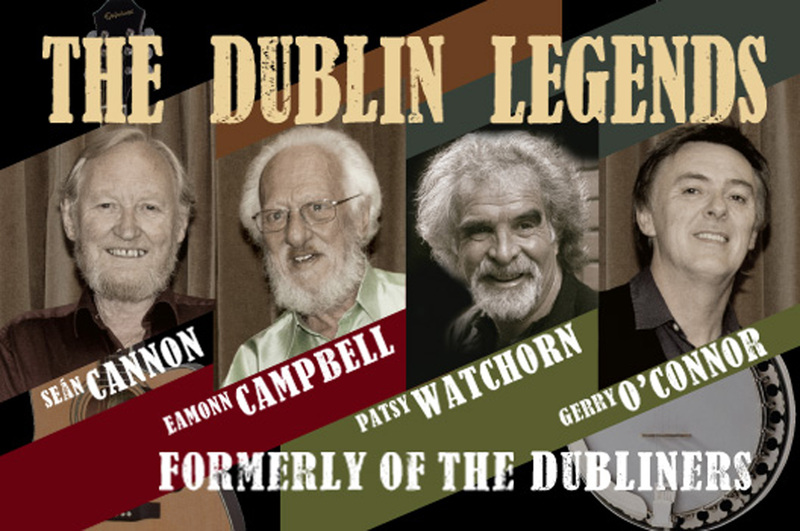 However, like a phoenix, the spirit of the music has risen again as ‘The Dublin Legends,’ with Sean Cannon & Eamonn Campbell being joined by Gerry O’Connor & Paul Watchorn, one of the best 5 string banjo players in Ireland – which is great news for Dubliner’s fans the world over. Their gig in Edinburgh was excellent, a packed house of acolytes to these remarkable musicians. With a twist of the violin strings the music took hold. The folk music of the Irish culture came to life. With Whiskey in the Jar to Dirty Old Town, the classics rolled on. Still with a magical presence at this stage in their career, they pulled a good number of jokes followed with a huge laugh from the audience. Caledonia was a big favourite with all and brought the crowd to there feet with a Ceilidh feel to the room. The dancing continued for the 3 encores before the band bid us farewell, and then headed for the bar to meet their audience that felt more like guests by the end of the show. All in , great and wonderful show from these newish, oldish Irish Greats.